New collaboration tools seem to pop up every week. The authoring process is one that can clearly benefit from collaboration with other authors, editors, etc. JW: How did the WEbook service come about and what was the inspiration behind it? SH: WEbook was founded by Itai Kohavi, successful entrepreneur, mountain unicyclist, and author of two novels and a children’s book. From his own experience as an author, Itai realized that the old model of the solitary writer toiling alone for years – then dropping a manuscript in the mail and hoping for the best – was woefully out of date. With the advent of social networking, blogging, and other next-generation trends in writing and digital content, the "lonely writer" just doesn't make sense anymore. Itai thought there had to be a better way for people to write, read, and get published, so he assembled a team of software developers, writers, and other idea-people, and behold! WEbook was born. JW: Your operation differs from self-publishers because WEbook selects certain projects and pays for production, manufacturing and distribution. How do you choose which books to publish and what retailers do you distribute through? SH: The entire WEbook community participates in publication decisions – that's one of the things that makes us different from traditional publishers. Starting July 4th (Independence Day for writers), WEbook will open its inaugural voting cycle. WEbook users will have the chance to review and vote on a range of exciting books on the site, and WEbook will choose its next published books from the projects voted in the top 10%. WEbook titles will initially be available through the WEbook store and Amazon. JW: How do you see the publishing world evolving in the coming years and how do you see WEbook fitting into that vision? SH: Everyone knows that the publishing world is headed for big changes. Traditional publishers have been slow to respond to the demands of readers and writers for a more open, flexible publishing model. The Web 2.0 revolution provides unprecedented opportunities to harness the energy of huge numbers of talented writers and engaged readers who don't play in the traditional publishing world. Through the use of collaborative web technologies, community-sourcing, and social networking, WEbook hopes to re-define how books are created, published, and consumed. JW: What's a typical day in the life like for the president of WEbook? SH: I golf a lot, and spend weekends in Fiji with George Clooney. Okay, one out of three isn't bad. Seriously – I wish I had such a thing as a "typical" day. On any given day, I might be in the WEbook offices in Bethesda, MD, brainstorming and sharing mixed nuts with the WEbook marketing, production, and content staff. I might be in Mountain View, CA, keeping up with WEbook's software developers. I might be in Israel meeting with investors. Or I might be in Bethesda, on the way to the airport to go to Mountain View, while on a conference call with investors. All this while trying to keep up with industry trends and make sure the overall direction of the company reflects our newest, best thinking on community-sourced publishing. It is amazing how much time I spend fielding comments and suggestions from WEbook.com users. The web gives users an open platform to share their hopes, dreams, aspirations, and criticisms. We get all that and more, and I along with every member of our team spend a good amount of time fielding queries, funneling the best suggestions into our plans, and sending out t-shirts to the people who take time out of their day to help us make WEbook better. In my spare time, I do occasionally find time for a hilly walk on closely cut fairways. JW: What are the biggest challenges you face in making WEbook successful? SH: At some level, the challenges at WEbook are the same as the challenges in life – limited time, limited resources. We have a tremendous amount of talent and energy on our team, and we're always faced with the difficult decision of which great ideas to implement right now, and which to save for later. There are, of course, some interesting challenges unique to our mission. We're dependent on the strength of the WEbook community for our success – we need writers writing, readers reading, reviewers reviewing, and we need them all to come together in a way that both produces publishable content and supports quality publishing decisions. Our challenge is to respond to the needs of the community and build our platform in such a way that we become the destination for writers looking to get published, and for readers looking to have their say. The bigger and more dynamic our community gets, the more appealing we become as a destination. The good news is that we have lots of great writers, readers, and reviewers already, and more are showing up every day. We believe that if we continue to offer a high-quality place to write, read, and connect with other writers and readers, and if we offer attractive publishing terms for the top-rated content produced by WEbook writers – and with our 50/50 profit split for writers, we think our terms will be pretty attractive – we will build the critical mass we need to make a lasting mark on the publishing world. Have you tried the Searchme search engine yet? If not, you should. No, it won't cause you to abandon Google, but it's a very useful alternative you ought to consider from time to time. Google always prides itself on a clean interface. The search results are mostly a bunch of links. Effective, but not exactly eye-catching. Then again, who needs aesthetics when you're really just looking for answers? By contrast, Searchme's results look like a modern operating system's desktop. Each resulting page is shown as a vertical panel and you can scroll through them to find what you need; it's like flipping through a stack of pictures or CDs.. Rather than guessing whether the link Google shows is the page you're looking for, Searchme renders that page so you can see before you click. Although it's only in beta it's definitely worth a look. Very cool. The video below pretty much sums up the experience far too many authors seem to go through. As a publisher I know I'm guilty of suggesting most of these techniques from time to time, but it's particularly entertaining when they're all strung together like they are in the video. I'll admit I laughed out loud at least three times while watching this. Thanks to reader Paul Mikos. for sending it along. Enjoy. The Smashwords service surfaced earlier this year and I first mentioned it in this post. Now that I've spent more time investigating it further, uploading some files and examining the results I find it even more attractive. JW: Tell us about Smashwords. MC: Smashwords is a digital self-publishing site, kind of a hybrid publisher/online bookstore. We allow anyone anywhere to become a published ebook author simply by uploading their finished manuscript in Microsoft Word format, and then we automatically convert it into multiple DRM-free ebook formats. JW: What was the impetus behind you founding the site? MC: The idea grew out my own experience as an author. My wife and I co-wrote a novel a few years back, and despite being repped by one of the most respected literary agencies in Manhattan, no publisher would take the book. I found it frustrating that a publisher could stand between an author and their potential audience, especially in today's age where print on demand and the Internet are such forces for disintermediation. JW: There are quite a few self-publishing outfits that handle the print side. 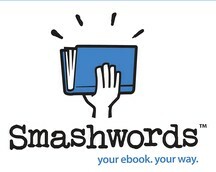 Smashwords looks like a great approach for self-publishing in the e-book world. Is that how you've positioned the service? MC: Yes, digital self publishing is our focus. We provide a platform for authors and even traditional publishers to publish and promote their books in digital form. JW: What if someone wants to do both types of self-publishing, print and e-book? Are the rights set up so that authors can easily do both? MC: Our publishing contract is non-exclusive, so we leave it to the author or the rights-holder to determine how and where they publish their book. I think in the future, most authors will become more independent-minded, and will begin to insist on controlling more and more of the rights for their works. This trend presents both a threat and an opportunity to publishers. Publishers who serve their authors the best will flourish. JW: What's the financial model for an author considering Smashwords? MC: I think most people agree that the traditional print publishing model fails to adequately compensate many authors. I blogged about this the other day. With Smashwords, we re trying to take a more author-centric approach. We give authors or publishers 85% of the net proceeds from each sale. So the formula for the author's share = (sales price - transaction fee) * .85. By offering authors and content owners a bigger slice of the pie, we allow them to price their product lower yet still make higher per-unit margins than through print publishing. Lower prices increase consumer demand, and higher demand plus higher per-unit profits create a wonderfully disruptive win-win situation for consumers and content owners alike. The biggest challenge facing digital publishers is how to increase adoption rates for digital books. I'm confident digital books are destined to go mainstream with multi-billion dollar sales levels, yet clearly this is several years off. JW: When an author publishes with Smashwords their content will be available in a variety of formats, including Amazon's Kindle. What are all the formats you offer and are authors able to pick and choose from this list, limiting their content to certain formats? JW: Authors can set their own pricing as well as determine how much of the content is freely readable before a customer has to pay. What's the upper limit on that free access feature? MC: The upper limit for free access is 100% free, which we support. From a sampling perspective, the author or rights holder can set their sampling rate from 0% to 99%. If they set it at 60%, for example, as I did with my own book, the first 60% of the book's content is available for free online viewing through our online readers. Sampling is a critically important marketing technique, yet few authors or publishers take proper advantage of it in the digital realm. The thought process here is that we as authors or publishers are competing for the time and attention of our readers. If we earn their time and attention, the revenue will come. If a reader invests several hours to read the first 60% of your 300 page novel, odds are they'll want to buy the book to finish it. JW: E-book pricing has become a pretty popular topic, particularly on the Kindle forums. Since you support both short- and long-form content I'm wondering if authors will want to test different pricing levels at first to see where the sweet spots are. They also might want to offer a discount from time to time. How frequently can authors change the prices of their books on your service? MC: Authors can change the pricing or the sampling rights as often as they like. The Yahoo deal is dead...or at least that's what Ballmer wants everyone to believe. As I read this recent BusinessWeek article about Microsoft's future I couldn't help think about the opportunity that's sitting right under Bill & Co.'s nose: advertising in Office and Windows. Everyone gets hammered with advertising throughout the day, both online and offline. Given all the ads you see in a typical browser session do you think your day would really change that much if you saw additional ads in Outlook, Excel, etc.? Here's the kicker: You (or your company) would get a cut of the advertising income. You're working through your Outlook in-box and there's a new pane set up to show context sensitive ads as you flip from one message to another. (Sounds like Gmail, right?) The advertiser pays Microsoft and Microsoft in turn credits an account for you. (Sounds better than Gmail, right?) In the corporate setting it's more likely there would be a single company account where the revenue accumulates, which means the company earns the income; sorry, but I'd doubt most companies would let you make a few extra bucks while you're on the clock. How many IT departments might warm up to this idea if it meant that either lower Windows/Office licensing fees or a new, albeit modest, revenue stream? Yes, I know this would be a radical departure from Microsoft's current product licensing model. And yes, I realize many (most?) people and companies might not want to try it. But why not offer it as an option? Look at it this way: If Office and Windows didn't already exist and they were both about to be launched this week, don't you think they'd include some sort of advertising component? We're just so used to having them be ad-free that we can't imagine what they would be like with banners or skyscrapers. This would work for both display and search advertising. In fact, why isn't there already the Microsoft equivalent to Google's browser search bar built into every Office application? The results could appear in a drop-down window pane that would roll back up when you're finished, not interfering with the rest of the screen where you're reading e-mail, working on a spreadsheet, etc. Think about it. If you're like me you spend more time in the various Office apps than you do in your web browser. Microsoft, why not make it a feature that customers can opt in or out of? Think about the unique angle this would give all your advertising sales reps! P.S. -- I'm part of the majority of users who default to Google searches throughout the day. If Microsoft ever hopes to win us over to their search engine they'll need to do something bold like this. Otherwise, why switch?